The FTDI Basic interface of Peakduino can be used standalone as a USB to TTL conventer. Upload or update the sketch of Arduino promini/pro etc. Communicate with other MCU via Serial port. When switch to MCU on, Peakduino juse act as a ordinary Arduino compatible mainboard. When switch to MCU off, isolate from the MCU and FTDI, now you can use the FTDI standalone. When isolate from the MCU and FTDI, the FTDI chip still connect with the shield’s hardware serial pins, which we could use the USB to debug the shield freely without any efforts, in previously case, this could be done by upload an empty program to free the hardware serial of the MCU or remove the MCU chip from the board. Use Peakduino as a standalone FTDI Basic to upload the program for other Arduino. Upload program for Arduino promini. Use Peakduino as a standalone FTDI Basic to communicate with other device. Communicate with a GPS module. Communicate with a Blutooth module. Debug the GPS shield via Peakduino. Debug the SIM808 GPRS shield via Peakduino, use AT command set. Debug the BLE shield via Peakduino, use AT command set. 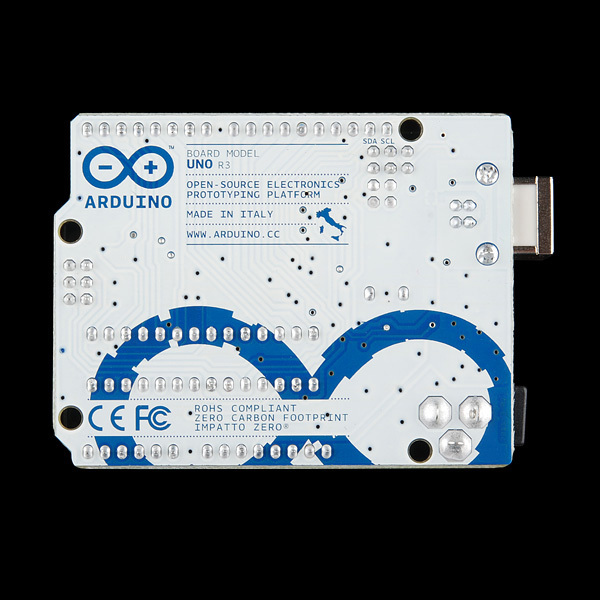 The Peakduino UNO is an Arduino-compatible development platform that enables quick-and-easy project prototyping. It can interact with real-world sensors, control motors, display information, and perform near-instantaneous calculations. It enables anyone to create unique, nifty projects. The Peakduino UNO also serves as an excellent physical computing learning platform. We’ve designed the Peakduino UNO to be as easy-to-use as possible. It can be used to help teach both programming and electronics concurrently – two skills that are becoming significantly important in today’s high-tech world. This tutorial aims to familiarize you with the Peakduino UNO and help you get started using it. To begin we’ll go over the ins and outs of the board, then we’ll explain how to install in, and finally we’ll go over how to use it with the Arduino software. Of course, to follow along with this guide, you’ll need a Peakduino UNO . You’ll also need a mini-B-to-A USB cable. 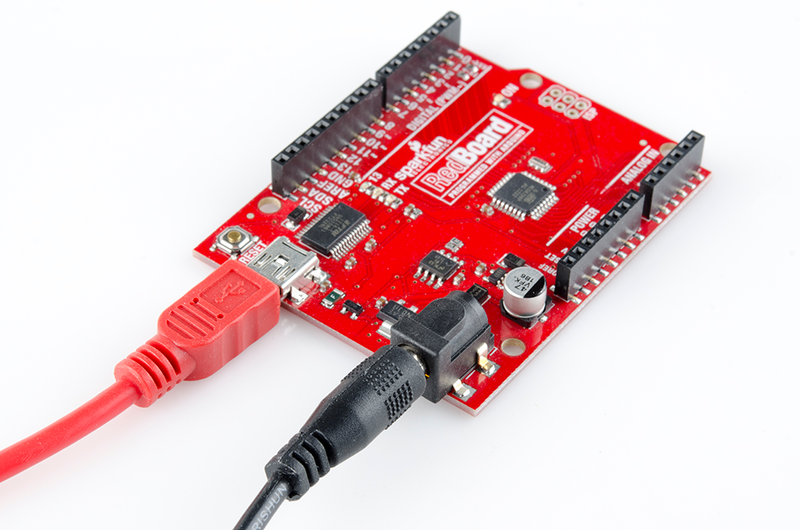 The USB interface serves two purposes: it powers the RedBoard and allows you to upload programs to it. You’ll also need a computer – Mac, PC, or Linux will do – with the Arduino IDE installed on it. You can download Arduino from their website. They’ve got installation instructions there, but we’ll also go over installation in this tutorial. The Peakduino UNO can be powered via either the USB or barrel jack connectors. If you choose to power it via USB, the other end of the USB cable can be connected to either a computer or a (5V regulated) USB wall charger. The power jack accepts a center-positive barrel connector with an outer diameter of 5.5mm and inner diameter of 2.1mm. Our 12V adapters are good choices if you’re looking to power the Peakduino UNO this way. Any wall adapter connected to this jack should supply a DC voltage between 7 and 15V. USB is usually the easiest way to power the board, especially when you’re programming it, because the USB interface is required for uploading code too. Why would you use the barrel jack? Usually it’s because you need more power. A USB port is usually only allowed to supply 500mA, if you need more than that a wall adapter may be your only choice. It is acceptable to connect both a barrel jack and a USB connector at the same time. The Peakduino UNO has power-control circuitry to automatically select the best power source. Before you plug the Peakduino UNO into your computer, you’ll need to install Arduino first. 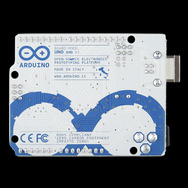 To begin, head over to Arduino’s download page and grab the most recent, stable release of Arduino. Make sure you grab the version that matches your operating system. The installation procedure is fairly straightforward, but it varies by OS. Here are some tips to help you along. Checkout the sparkfun’s Installing Arduino tutorial if you get really stuck. The Windows version of Arduino is offered in two options: an installer or a zip file. The installer is the easier of the two options, just download that, and run the executable file to begin installation. If you’re prompted to install a driver during installation, select “Don’t Install” (the Peakduino UNO doesn’t use the same drivers). Don’t forget which directory it installs to (defaults to “Program Files/Arduino”). Windows install steps. Click the image to get a bigger view. If, instead, you choose to download the zip file version of Arduino, you’ll need to extract the files yourself. Don’t forget which folder you extract the files into! We’ll need to reference that directory when we install drivers. The Mac download of Arduino is only offered in a zip file version. After the download is finished, simply double-click the .zip file to unzip it. Following that, you’ll need to copy the Arduino application into your applications folder to complete installation. As you Linux users are no doubt aware, there are many flavors of Linux out there, each with unique installation routines. Check out the sparkfun’s Linux section of the Installing Arduino tutorial for some helpful links for an assortment of Linux distributions. And other Linux distros aren’t too dissimilar from that. With Arduino downloaded and installed, the next step is to plug the Peakduino UNO in and install some drivers! Pretty soon you’ll be blinking LEDs, reading buttons, and doing some physical computing! Once you have downloaded and installed Arduino, it’s time to connect the Peakduino UNO ​to your computer! Before you can use the board, though, you’ll need to install drivers. If your computer failed to find drivers, we’ll have to install them manually. 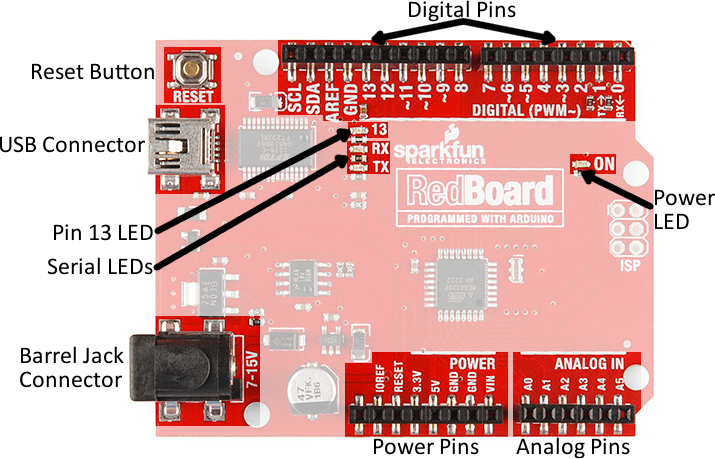 Check out Sparkfun’s Windows FTDI Driver Install guide for driver install instructions. If you’re lucky, the FTDI drivers should automatically install on Mac OS X, otherwise you’ll have to manually install the drivers. Check out the Mac FTDI Driver Installation guide for help installing the drivers. In short, the process involves heading over to the FTDI driver website, and downloading the most up-to-date VCP drivers. 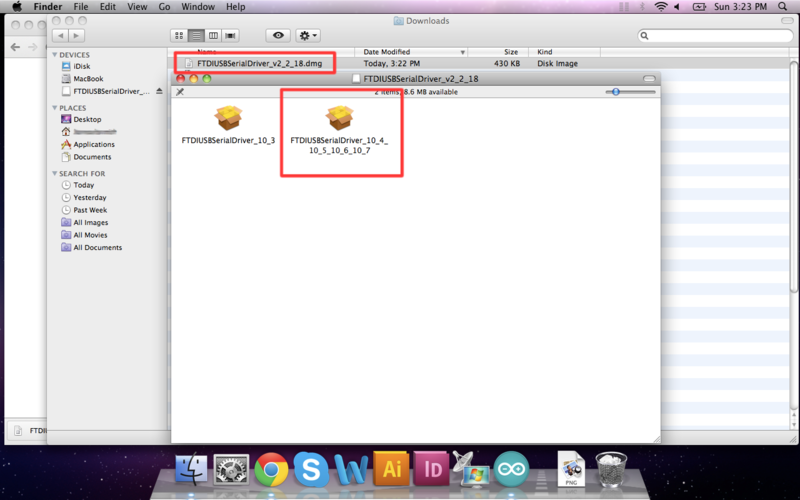 Then you’ll simply run the “FTDIUSBSerialDriver_v2_2_18.dmg” file you downloaded, and follow the installation prompts. Linux is actually pretty good about automatically installing the drivers. If you have any trouble, check out our Linux FTDI Driver guide. Now it’s time to breathe easy! You’ll only have to run through this driver installation process once, the first time you connect the board to your computer. Now it’s time to upload a sketch! Lets upload a Blink sketch to make sure our new Peakduino UNO setup is totally functional. Go up to the File menu in Arduino, then copy and paste the code below. Before we can send the code over to the Peakduino UNO , there are a couple adjustments we need to make. This step is required to tell the Arduino IDE which of the many Arduino boards we have. Go up to the Tools menu. Then hover over Board and make sure Arduino Uno is selected. Next up we need to tell the Arduino IDE which of our computer’s serial ports the Peakduino UNO is connected to. For this, again go up to Tools, then hover over Serial Port and select your Peakduino UNO’s COM port. If you’ve got more than one port, and you’re not sure which of the serial ports is your RedBoard, unplug it for a moment and check the menu to see which one disappears. Uh oh! If you didn’t get a “Done Uploading” message, and instead got an error, there are a few things we can double-check. If you got an avrdude: stk500_getsync(): not in sync: resp=0x00 error in your console window. Either your serial port or board may be incorrectly set. Again, make sure Arduino Uno is the board selection (under the “Tools > Board” menu). The serial port is usually the more common culprit here. 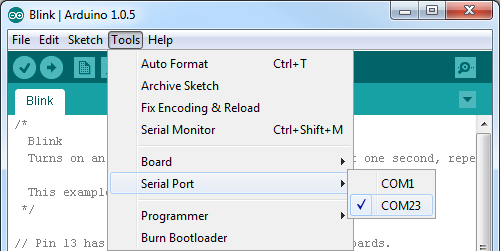 Is the Serial Port correctly set (under the “Tools > Serial Port” menu)? Did the drivers successfully install? To double check your RedBoard’s serial port, look at the menu when the board is plugged in, then unplug it and look for the missing port. If none of the ports are missing, you may need to go back to driver installation. What Is The Peakduino UNO Geek Plus? 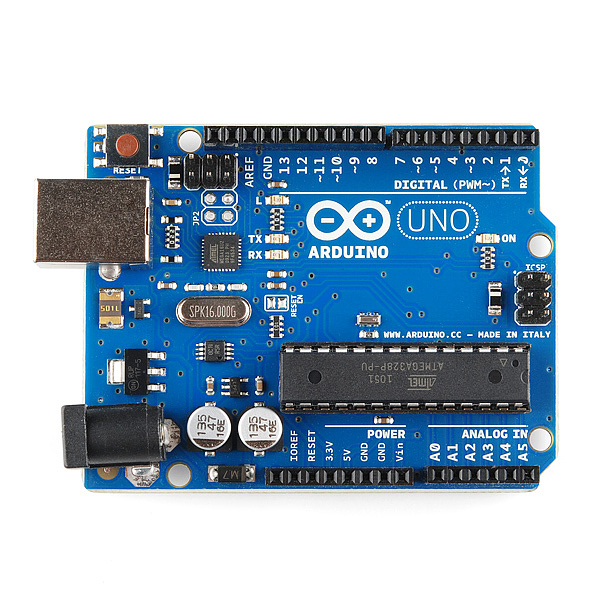 Arduino is one of the most popular physical computing platforms available today. It’s an amazing tool for both experienced and budding electronics enthusiasts. It’s part hardware, part software, and part community; all of which come together to create a well-supported, solidly-designed electronics platform. 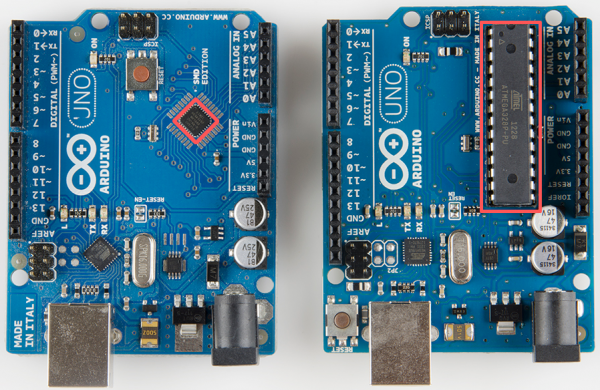 The best part: the entire Arduino project – both hardware and software – is open-source. The schematics, hardware design files, and source code are all freely available for viewing and modification. Released under a Creative Commons Share Alike license, anyone is free to riff on the hardware design and produce their own version. That’s what we’ve done with the Peakduino UNO Geek Plus. It still looks and acts just like an Arduino Uno, but is slightly modified to make the board better-suited to our purposes. An Arduino Uno PTH (left, blue) next to a Peakduino UNO Geek Plus. 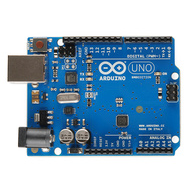 USB connector: Arduino Uno uses a USB type B connector, while the Peakduino UNO Geek Plus uses the smaller mini-B connector. Each connector requires a different USB cable. USB-to-Serial Transciever: The Arduino Uno uses an ATmega16U2 loaded with custom firmware to convert between USB and serial. The Peakduino UNO Geek Plus uses the FTDI FT231X. This difference is only really prevalent wheninstalling drivers because each requires a different driver file. Digital and Analog Pins: The Arduino Uno has 14 digital I/Os and 6 analog I/Os, the Peakduino UNO Geek Plus has 14 digital I/Os and 8 analog I/Os. SMD vs PTH: The Arduino Uno comes in two versions through-hole (PTH) or surface-mount (SMD). The Peakduino UNO Geek Plus is only offered in SMD. The Peakduino UNO Geek Plus takes this a step further, by making every component surface-mount. No sharp edges on the bottom of the board! Color: It won’t have any real influence on the operation of the Arduino, but it certainly affects the board’s swag-factor. Cool blue or White, Duinopeak Golden balack? Price: Because we are the Opensource Hardware Factory manufacture the board in-house, here in Shenzhen, China, we can offer competitive price. ATmega328: The main microprocessor on both boards is the popular ATmega328. This is they key-est of similarities. IDE interaction/Board Selection Type: The ATmega328 on both boards is loaded with the same bootloader (Optiboot). That means, when you program the board, you can still select Arduino Uno under the Tools > Boardmenu. Outline and Connector Layout: Both boards are the same shape, and the female header connectors are all placed in the same locations. All shields and enclosures will be compatible with both boards. Operating Voltage: Both boards operate at 5V, and have an on-board 3.3V regulator. They can be powered either through USB or with a 7-15V barrel jack power supply. Next we’ll look in-depth at the most significant differences between the Peakduino UNO Geek Plus and Arduino Uno. Both the Arduino Uno and Peakduino UNO Geek Plus interface with computers via USB, but the connectors are different. 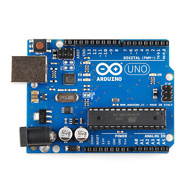 The Arduino Uno uses the larger, square-ish type-B connector. Type-B USB connectors are often found on USB printers, or other devices where size is not an issue. The Peakduino UNO Geek Plus uses a mini-B USB connector. Mini-B connectors are lower-profile USB connectors, which might be found on cameras, MP3 players, and cell phones. Obviously, you’ll need a cable that matches the connector on the development board. The Arduino Uno would require an A to B cable, while a Peakduino UNO Geek Plus would require an A to mini-B cable (or you could cover both bases with a Cerberus cable). The second difference between the boards is how they manage to convert USB coming from your computer into a serial protocol the Arduino can understand. Arduino serial communication is critical for uploading sketches and sending/receiving information via the Serial Monitor. The Uno uses an Atmel processor – the ATmega16U2 – loaded with custom firmware, to convert USB to (and from) serial. Before the Arduino Uno was released previous versions of the development platfurm used a dedicated USB-to-serial transceiver: FTDI’s FT232RL. Call us nostalgic, but we really preferred the robust reliability of the FT232RL over the ATmega16U2 solution. So when we designed our own version of the Arduino platform, we decided to revert back to the FT232RL for our USB-to-serial needs. About 99% of the time these ICs should be of no concern to your everyday Arduino hacking. Once drivers are installed, each should transparently convert data between your Arduino and computer. The difference between the two USB/Serial transceivers is most apparent when you’re first connecting the board to your computer. For Windows users in particular, each board requires a unique driver to be installed before being usable. There are plenty of installation tutorials for both chips (our guide on installing FTDI drivers and Arduino’s guide for theirs). The most up-to-date version of the FTDI drivers can be downloaded directly from the chip manufacturer’s webpagewhere they host installation guides of their own. There should be no shortage of driver-installation support out there. Once the board is connected to your computer and the drivers are installed, the two chips should be almost invisible. For the most part, we don’t really care how the Arduino communicates with our computer, just that it does. 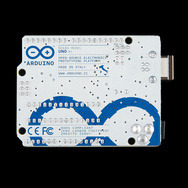 The Arduino Uno comes in two forms: surface mount (SMD) and through-hole (PTH). Both versions are very similar, the only significant difference comes from what package the ATmega328 processor comes in. SMD components are generally easier to mass assemble (though harder to manually assemble), so the SMD version of the Uno is either cheaper, more readily available, or both. An SMD Arduino Uno (left) and the regular PTH version. The ATmega328 processors are highlighted on each board, they look different, but are actually (pretty much) the same thing. The Peakduino UNO Geek Plus is only offered in one form: surface mount. The design actually takes the SMD choice even further by making every component SMD (the Arduino UNO SMD still has PTH connectors, for example), but the main focus of the SMD vs. PTH debate centers around the package of the microcontroller (as highlighted in the image above). The absence of PTH components on the Peakduino UNO Geek Plus means a nice, smooth surface on the bottom of the board – there’s no danger of being pricked by pointy solder joints. On top of that, eliminating exposed joints on the bottom of the board also protects the components from accidental shorts. As any hobbyist with a messy desk could attest, stray wire clippings and other metals strewn across workbenches are a common source of accidental short circuits. Standoffs or Arduino holders will help prevent against this if you’re using an Arduino board. Microcontrollers (µCs) – in this case the ATmega328 – are usually the most expensive component in a design. A µC failure* is hard to overcome, and it usually requires either replacing the component or just recycling the board. The nice thing about the PTH Arduino is the ATmega328 is socketed, so if it blows up* replacing the chip is as easy as prying it out and sticking in a new one. The ability to easily remove the ATmega328 has other advantages as well. For example, if you’re looking to build a project using the IC, you can prototype in the development board and eventually transfer the microcontroller out of the Uno to a custom board. *: Microcontroller failure on all of these boards is a big “if”. The ATmega328 is a very resilient microcontroller. You really have to try to fry the IC, or even just a single I/O pin on it. A failure in the power circuitry (voltage regulators specifically) is much more likely. Are you tired of mediocre Arduino mainboards, it’s poor quality and you do not know what is going on. Our 6 years experience as a result, we need a better one far more than the exist Arduino boards, simple, beautiful, stable, practical, functional, it is best we can easily understand the state of its work. Yes, such ideal Arduino mainboard has been born – Peakduino UNO – Geek Plus Editon. The Peakduino UNO Geek Plus can be programmed over a USB Mini-B cable using the Arduino IDE: Just plug in the board, select “Arduino UNO” from the board menu and you’re ready to upload code. Peakduino UNO Geek Plus has all of the hardware peripherals you know and love: 14 Digital I/O pins with 6 PWM pins, 8 Analog Inputs, UART, SPI and external interrupts. We’ve also broken out the SDA, SCL and IOREF pins that showed up on the UNO R3, so the Peakduino UNO Geek Plus will be compatible with future shields. This version adds an SMD ISP header for use with shields. With these features, you can test your mainboard without extra shields or equipments, just upload the test sketch and see it done! It’s also can be used as a FTDI basic breakout, for flash or upload the programming other boards, like Arduino promini, Arduino pro, etc. To the FTDI the most practical function is that it can be used for debugging the shields via FTDI when bypass the MCU’s hardware Serial port. Pin Mapping – An image of the pinmapping. Layout– An image of the layout. Schematics – An image of the schematic. FTDI Drivers – Though they’re included with Arduino installs, this is where you’ll find the most up-to-date FTDI VCP drivers. We believe that it will be your best Arduino Mainboard. If you’re already in love with it, or if you want to improve it, make it more practical and you want to batch customize your own version, we are very welcome! Please contact at lryain.master@gmail.com. Thank you for your interest in becoming our distributor. We know that spreading your knowledge and enthusiasm are vital to the growth and success of our company. Because of this, we want you to share in our success!